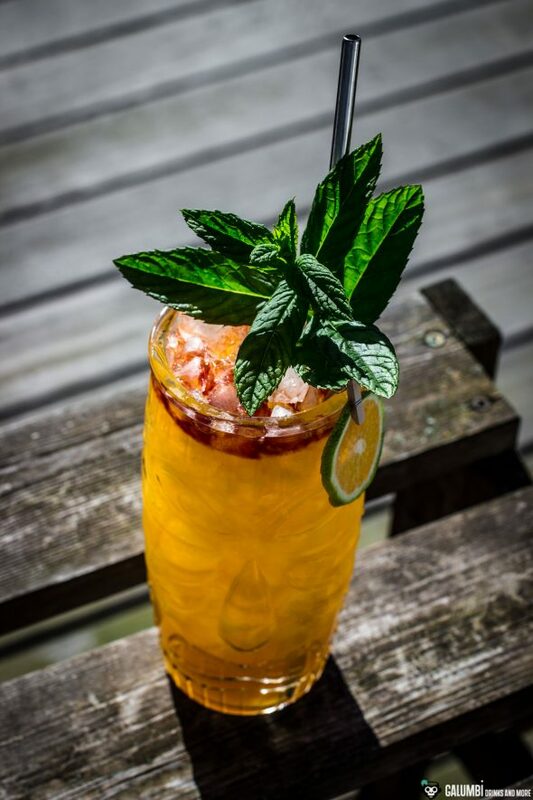 However, dubious additives and the subsequent addition of sugar have recently reflected discredit especially on South American rums. Former “stars” in the rum sky, such as The Guatemalan Ron Zacapa have lost a lot of prestige in the eyes of many rum fans, even if total sales figures might still be good. 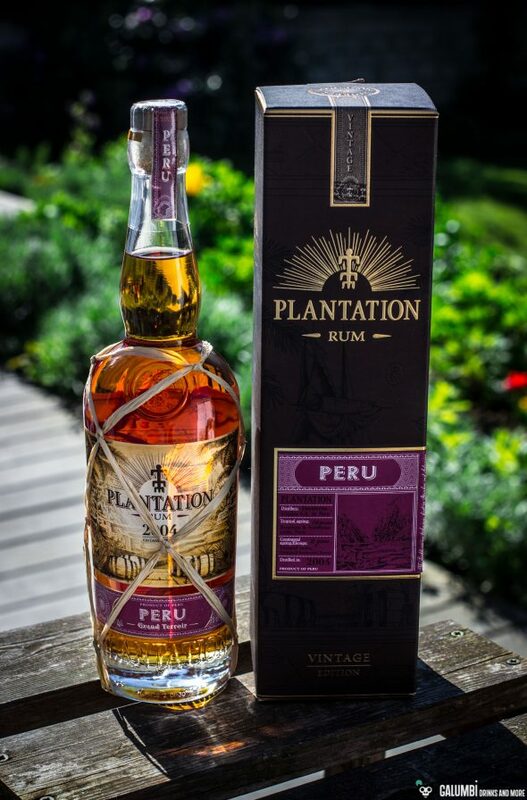 A country that does not immediately come to mind when talking about rum, however, is the country of Peru. Although the two rums Ron Cartavio and Ron Millonario are made there (the latter does not reveal which distillery it comes from), they are both not what you would call a real titan of that industry. 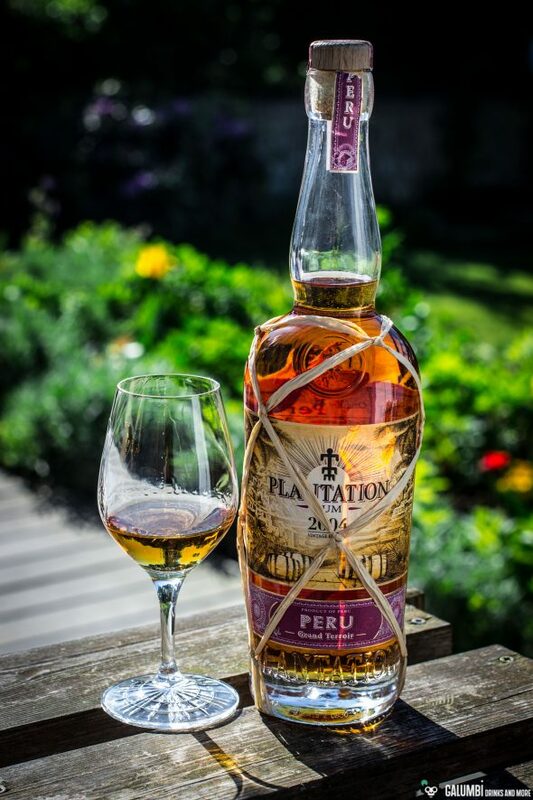 All the more interesting and tempting is the new bottling from the Plantation Vintage Edition: the Plantation Peru 2004. To my delight, the new release was launched with a redesigned packaging (just like the newly released Plantation Vintage Edition Fiji 2009, about which I will also publish a review in a timely manner). This redesign is not a purely aesthetic decision, no; it is obviously even more relying on transparency. Therefore, in addition to the usual information about barrel aging, year of distillation and so on, you can also read from which distillery each rum comes. Perhaps, Plantation was a little bit inspired by the inner-French competitor of Compagnie des Indes. 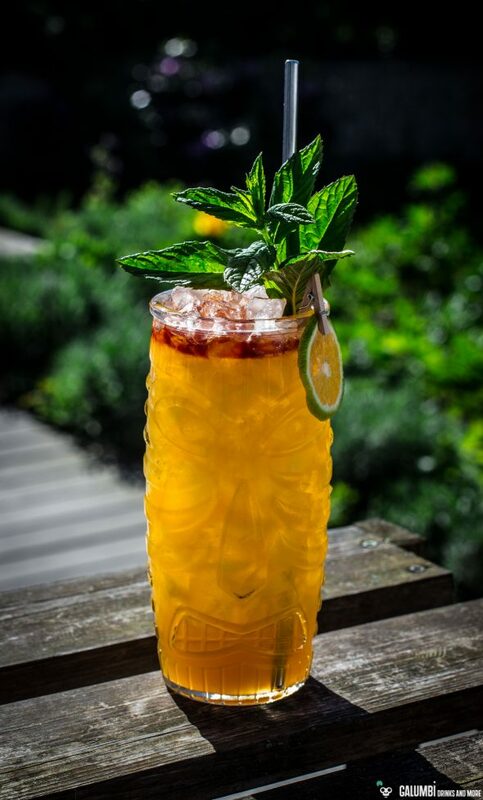 If you also want to get more information, you can learn about the exact amount of sugar that was added to the rum on the website of the manufacturer (it is 12g of sugar per liter – a still relatively reasonable value. But Plantation has also been quite informative about that in the past. But one after the other. 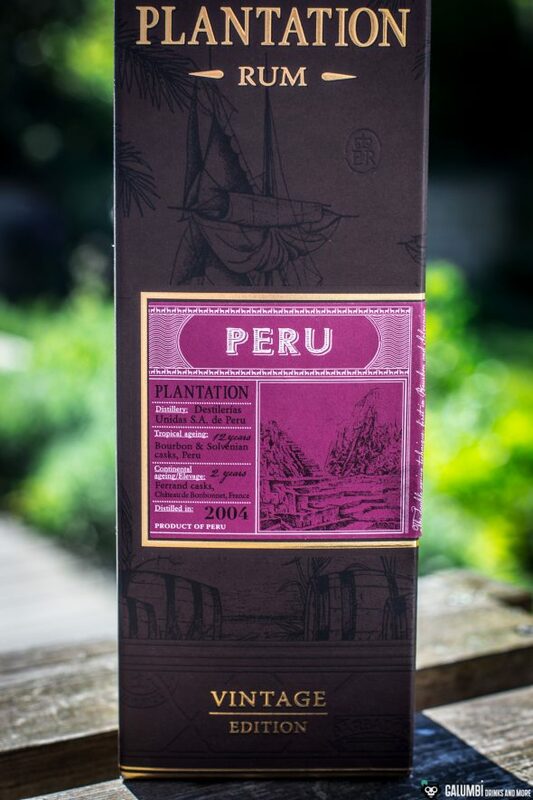 The Plantation Vintage Edition Peru 2004 comes from the distillery “Destilerias Unidas S.A. de Peru” in the capital of Lima. At least it’s known that they’re responsible for the Ron Cartavio (and who knows if not also the Ron Millonario is distilled there). 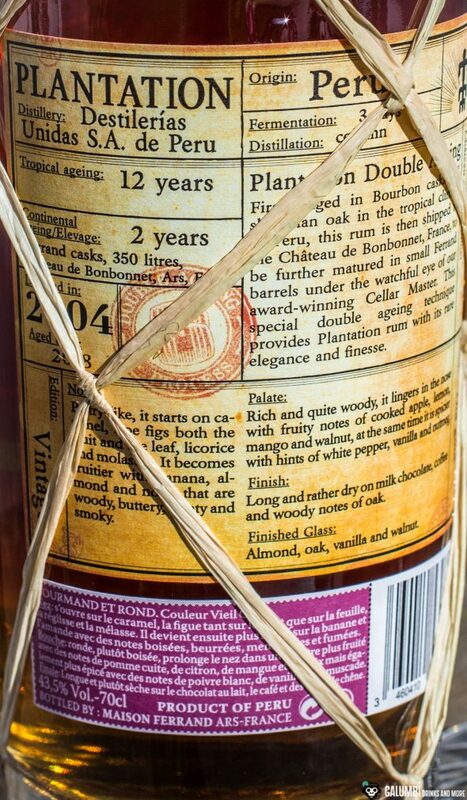 The rum was allowed to mature in the producing country for twelve years in former bourbon and “Slovenian casks” (meaning barrels of Slovenian oak, which are commonly used in winemaking) and then – as usual with the Plantation Vintage Edition – finished for two years in France in former cognac barrels. It is bottled at an ABV of 43,5%. But how does this Peruvian rum taste like? Aroma: A very aromatic and appealing variety of facets shows up here on the nose. I can scent fresh fruits with greenish notes (apples, unripe bananas), mango and citrus fruits, some candy and spices (cinnamon, nutmeg and definitely vanilla). A fruity rum with a recognizable balance of oak. Taste: A very nice and appealing rum it is! The official taste description speaks of cake dough and in fact, I can find it here (and who does not love cake dough?). Vanilla, caramel and dry fruits give way to fresh notes of citrus and mango. Even a light smoke is present. A complex, skillfully balanced rum that makes you want to take another sip. 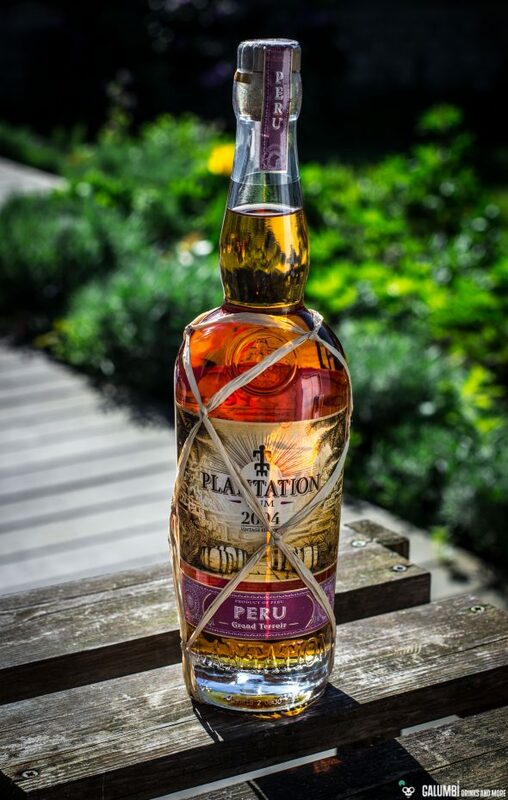 While I’ve actually never been disappointed by the Plantation Rums in the past (especially the Vintage Edition is very recommendable – in the past I’ve also reviewed the Panama 2004, the Barbados 2002, the Trinidad 2003, the Jamaica 2002 and the Guyana 2005), this time again I have to emphasize how beautifully balanced and aromatically sophisticated this rum comes along. I really like it very much. 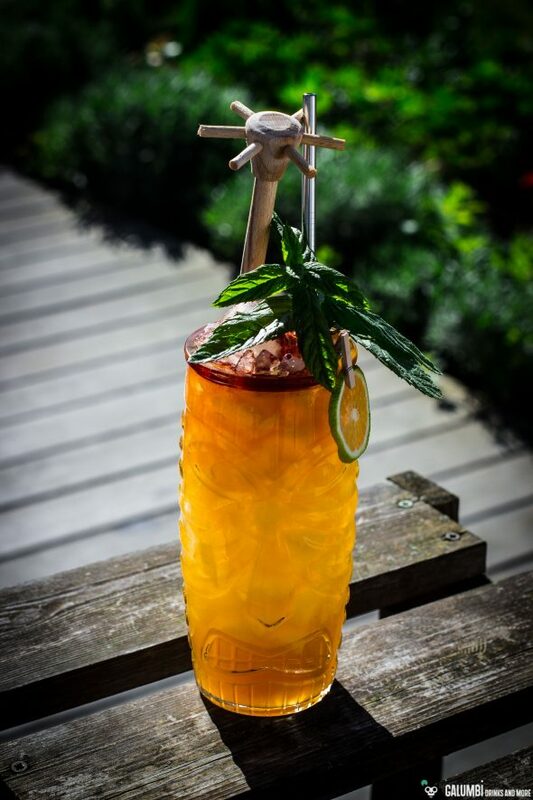 In terms of cocktail for this very nice rum, I chose a variety of the classic Rum Swizzle and called it Peruvian Rum Swizzle. 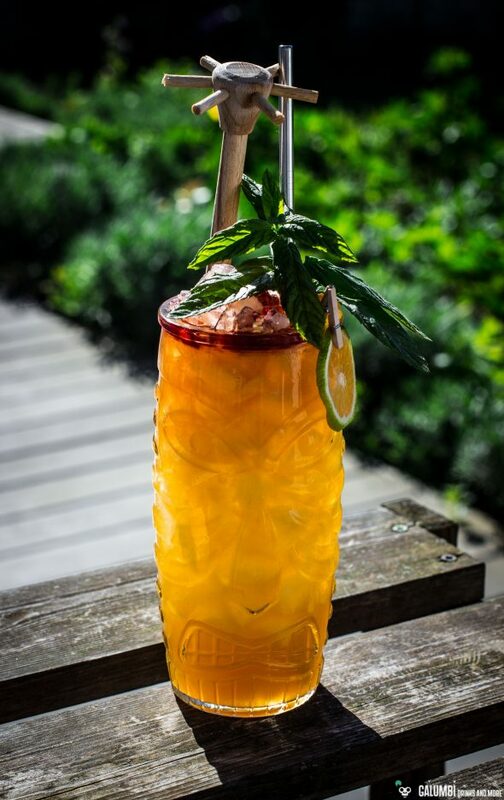 The Peruvian Rum Swizzle picks up on the very beautiful fruit and spicy notes of the rum, with some Falernum (here I opted for the Amber Falernum) and some typical Peruvian fruit flavors: mango, lime, papaya and some tamarind, rounded off with a Dash of Peach Bitters. I am making my own mango and papaya juice in the juicer – you can substitute it with sweetened juices respectively juice drinks from the supermarket, but in that case you have to omit the sugar syrup in the recipe. Tamarind: Since tamarind paste should be “smoothened” a little bit before using it as a cocktail ingredient, simply mix the desired amount of tamarind paste with the same amount of hot water and stir until smooth.